The drought in Gujarat has driven a large number of Maldharis to migrate with their cattle. Away from media attention, Gujarat is enduring one the worst droughts in recent history. The state, as a whole, received only 76% of its average rainfall during the south-west monsoon of 2018. Some regions have fared much worse. The Wire travelled over a thousand kilometres through Kutch and North Gujarat, the two worst affected regions, and spoke to pastoralists, farmers and families struggling for fodder and water. This is the second in a series of articles about the drought. You can read the full series here. 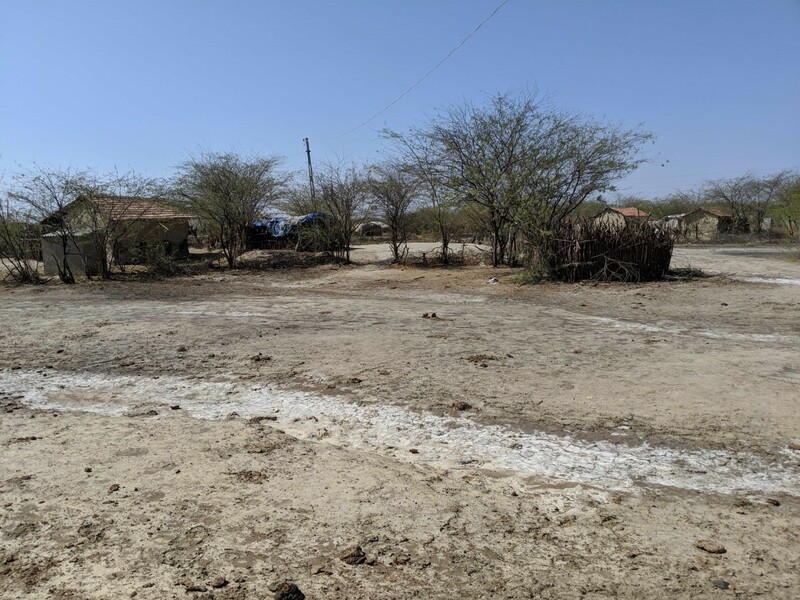 Nanasarada (Kutch, Gujarat): Soon after heading north from Bhuj, one encounters a vast expanse of empty open barren land on either side of the road. The landscape is dominated by small shrubs typical of desert regions. They appear thirsty for water. The only company they have are large electricity transmission towers. “If it had rained during the monsoon, there would have been grass in Banni. It is known around the world for its grass,” said Umesh, a Bhuj-based journalist and a fellow traveller. The landscape, which at present appears rather hostile, is known as the Banni grassland. It was once among Asia’s finest grasslands, with nearly 200 varieties of vegetation by some counts. The grassland has degraded over the years, owing largely to an invasion by an alien woody species – prosposis juliflora, known locally as gando baval. The species was introduced in Kutch in the 1960s, with the objective of keeping in check the ingression of the salt marsh desert – the white Rann. The unintended consequence of the intervention has been the degradation of the Banni grassland. In 1989, the area under grasslands was estimated to be 1,42,000 hectares, which reduced to 63,000 hectares in 2009. The grasslands’ productivity has dropped by 84.5%, from 4,000 kg per hectare in the 1960s to 620 kilograms per hectare in the 1990s. A buffalo walks in Nanasarada. In 2018, though, there was barely any monsoon rain in Banni – an area of over 2,500 square km, or more than four times the size of Mumbai. The district of Kutch, which is over 45,000 square km in area, received only 111 millimetres of rainfall, according to data provided by the district administration. That is only 26% of the 30-year average. According to Remya Mohan, the district collector of Kutch, the drought is the worst in over 30 years. “Although this region suffers from scanty rainfall once in every 3-4 years, the drought this year has been exceptional. It is comparable to the drought between 1985 and 1987,” she said. The 1985-1987 drought was historic and impacted more than 70% of inhabited villages in Gujarat. According to a 1987 report in India Today, thousands of cattle died in Kutch and it led to ‘mass migration’. This year too, several thousand have migrated. “We don’t know exactly how many people have migrated. But yes, there has been a lot of migration,” Mohan told The Wire. 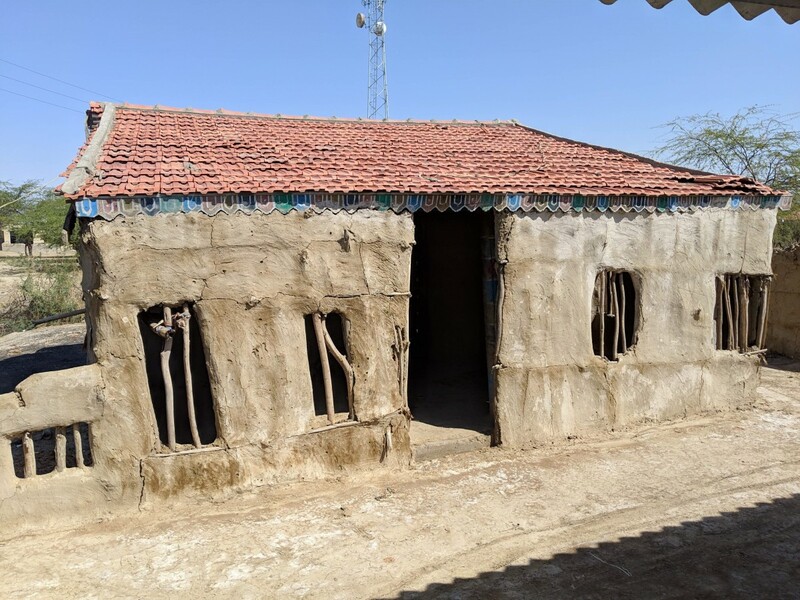 Deep inside Banni, about 90 km from Bhuj, in a remote location, we encountered a settlement that, from the road, appeared entirely uninhabited. It looked almost like a ghost village, deathly quiet. We got down from the comfort of the car into the blazing sun. The earth beneath us was soft and marshy. Some houses were pucca, some were kutcha with mud walls and thatch roofs. Some were locked. All were empty. Umesh was surprised. “I didn’t know entire settlements had emptied,” he said, as we walked around the empty village. The only sign of life was the occasional chirp of birds and the towering presence of a cellular tower. We noticed a human figure walking in the distance. We screamed to get his attention. It was Sadiq Yakub, the local masjid cleric. “Everyone has left. It’s because of the drought. There is no water,” he said, as we walked towards each other. We are in Nanasarada, Yakub informs us. It is a hamlet of around 1,500 people located on either side of a village road. One side of the settlement is entirely uninhabited while a few residents remain on the other side, close to the mosque. Around five months ago, most residents migrated with their cattle to Anjar – about 120 km away – in eastern Kutch. “Some have even travelled to Sanand,” said Yakub. Sanand is almost 400 km from Nanasarada. Sadiq Yakub walking towards the masjid. “The main problem was that there was no grass. It did not rain at all,” said Yakub. 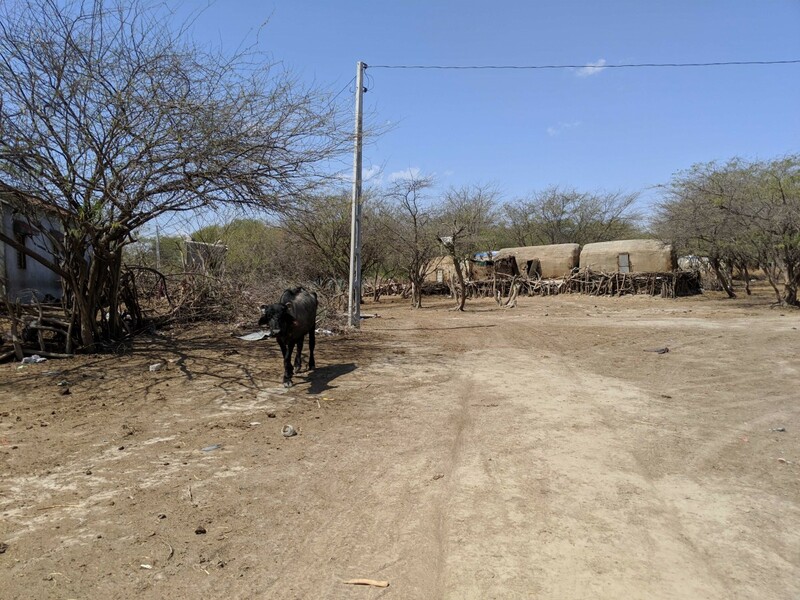 The problem of lack of fodder for cattle is ubiquitous across Kutch and to deal with the problem, the government, with the support of local NGOs, has set up 356 cattle camps across the region as of March 10. The first cattle camp came up only in late December 2018. “By that time, thousands had already migrated. The government was late to act. It announced in October that Kutch is scarcity hit. But it took them more than two months to open the first cattle camp,” said a local BJP leader, seeking anonymity. Kutch has a livestock population of almost 19 lakh, according to the livestock census of 2012. Of this population, which is almost equal to Kutch’s human population of 20 lakh, large animals – cows, buffaloes and camels – account for 9.6 lakh. The cattle camps, which provide fodder mainly for large animals, have on their rolls 1.7 lakh large animals, according to figures provided by the district administration. Panjarapols – cattle shelters – and gaushalas have an additional 1.23 lakh cattle under their wings. “The question is, where are the rest?” asked the BJP leader. 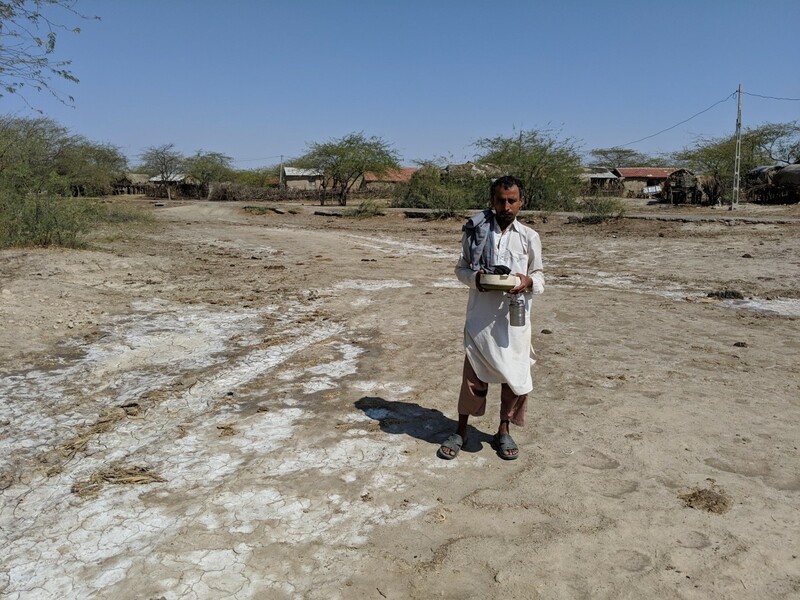 Rashid Sama, a local leader of the Maldharis and a member of the Kutch district panchayat, claims that almost half the population of Maldharis has migrated with their cattle. “The government provided no help for months. We kept telling them that the situation is dire. There is no fodder or water. But they did not do anything. So, half the population has left, gone to Gujarat (The Maldharis often refer to non-Kutch regions of Gujarat simply as Gujarat),” said Sama. He also claimed that a large number of cattle have died due to the drought. “Since there is no fodder or water, 25,000 cattle have died,” Sama said. Remya Mohan, the district collector, contends that Sama’s claim is exaggerated. “Usually scarcity is declared only in January. This year the government has been very proactive and declared scarcity in August itself. The government has been active in providing support. There haven’t been cattle deaths,” said Mohan. She does accept that Maldharis have migrated in large numbers, but downplays the phenomenon. “It is true that they have migrated. But they are a semi-nomadic population. They migrate seasonally. Not in large numbers, but they do,” said Mohan. An empty house with a cellular tower in the background. Pankaj Joshi, executive director of Sahjeevan, an NGO that works with communities in Kutch, argues that the migration this year has been much greater than previous years. “The Maldhari seasonal migration is overstated. They do migrate. But it’s only a small fraction who do. Usually, there is fodder and water available through the year if monsoon rainfall is normal. So why would they migrate?” Joshi said. In our travels across Banni, we found four settlements like Nanasarada which had emptied almost entirely. In several other settlements, about half the population had migrated. There were no settlements where there had been no migration. In Nanasarada, around ten households continue to live on the other side of the road, close to the mosque. Those who haven’t left are the ones who have a small number of cattle and did not find it cost effective to migrate. Juman Bachaya has five cattle and did not migrate because he couldn’t afford to. “It costs over 15,000 to hire a truck and take the cattle to Gujarat. I don’t even have Rs 2,000 with me,” he said. The land in Nanasarada is soft and marshy. Bachaya works as a daily wage labourer cutting wood and converting it to charcoal. The Maldharis in Kutch have found a way to monetise the invasive prosopis juliflora by converting it to charcoal. “I earn Rs 200 a day (the minimum wage is at least Rs 311 per day). We eat bajra roti and salt. We are surviving,” said Bachaya. All images by Kabir Agarwal.